Unfortunately, a record player is big and bulky, and the preferred ones with a heavy turntable are also very heavy. After my arms fell off in my very small darkroom, I grabbed the router and found a solution that could be implemented within a few minutes. 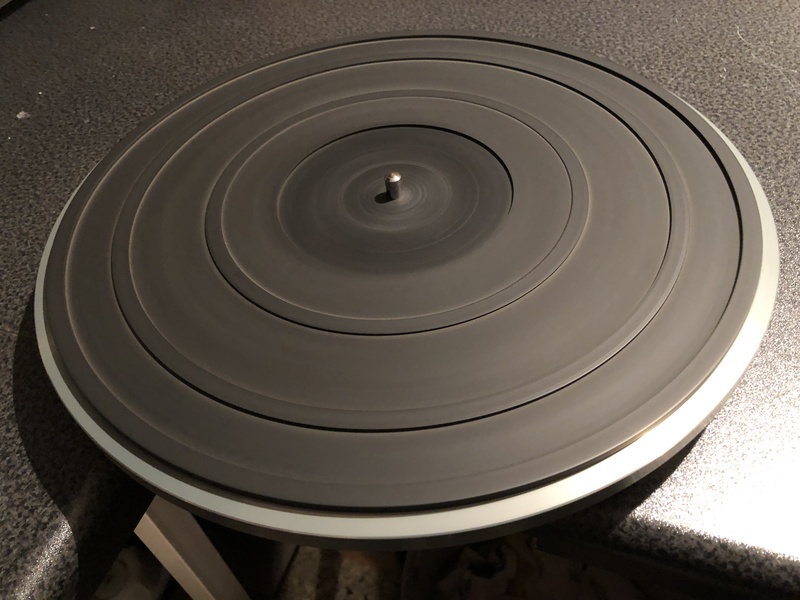 …the easily removable turntable bearing (here from a Lenco L75) can already be placed flush and firmly in the table top. Using screws to fix the bearing is possible, but not necessary — the turntable is balanced and heavy enough. Even the large, particularly narrow reels of the Lomo Pro tank can be loaded easily within a few seconds due to the flywheel mass of the turntable. An adapter for 7″ records centers the large center axis. If I need the space for development trays or other equipment, turntable and bearing are easily stored in a drawer. Just loaded with a record or two but without the heavy turntable, you get a great handling aid for Lomo reels. This makes loading the dryer rack particularly easy.